When configuring your computational environment, you may wish to have access to additional or alternative package repositories. 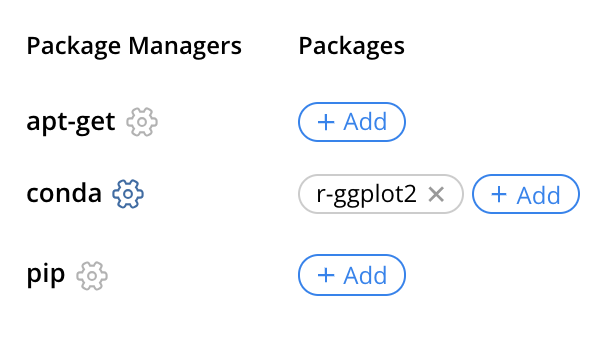 To do so, add the package you need, and then click the gear icon next to your preferred installer. Changing the CRAN mirror (in order to use MRAN, for example).